Today we distributed school supplies and food packages to 200 orphans from our fundraiser. 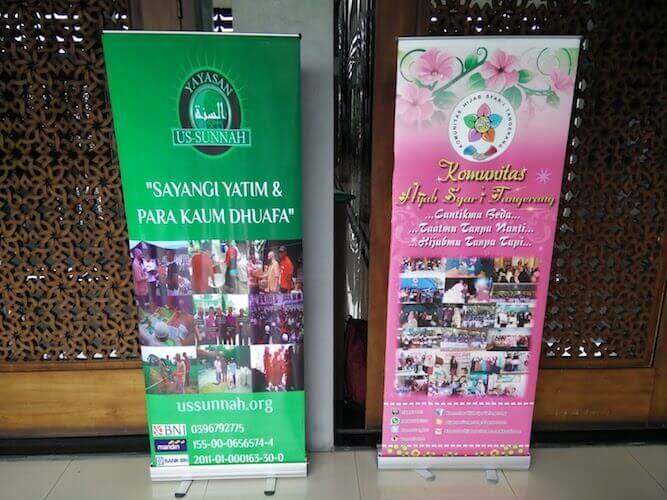 The event for the orphans was hosted by Komunitas Hijab Syar’i Tangerang while we provided the supplies, thanks to our donors. We are currently raising funds for a second event in cooperation with a local coalition of organizations to do another distribution as well as encouraging people to visit here to donate $10 (or more) every month so we can establish ongoing permanent distributions locally.